referral partners - It's Not Just Business, It's Personal! How do you meet other business owners/leads? Do you actively spread the news of their business ? How do you help others to help you? There are a number of ways to find leads partners, the most common of which are to attend networking meetings and to be part of an official "leads group". Once in a group, many entrepreneurs set a goal of meeting with a number of other members to share information about their business and see if they are a good fit to work as referral partners. I highly recommend this step, because without it, you don't really get a feel for what the other person has to offer. If you stop there, you may have gathered information and possibly met a new kindred spirit, but you don't have an active referral partner yet. The next two steps are crucial; talking to others about your referral partner's business, and helping others to help you. If you decide that your networking partner is someone you want to promote, that they have a good product or service, you will probably need to explore with them what will work best to help them. Do you take a stack of business cards and hand them out? Do you mention them in your social media or promote an event they are holding? Do you combine your efforts to do something together that lets you meet each others' clients and bring in new ones? There are many ways to actively spread the news of their business; but the key word is active. That's the only way you'll see real results. One other key question to decide: Will you only promote them if they promote you? Give your leads partner a handbook to make it easier for them to help you. Tell them who you are looking for. Tell them how you help your clients. Give them some examples of your ideal client. With this information, they will be much more keen when the right person comes along to refer to you. 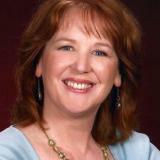 Monica Leggett is a coach and consultant, helping business owners (individuals, couples and partners), who want to Create Their Own Success, on their terms, with joy and ease. Her clients build personal skills, personal awareness, and stronger more effective relationships, in business and life. If you know a business owner who wants some of this, please refer them to me for a FREE complimentary consultation. No more second-guessing, over-thinking, or interpersonal struggles. Better personal awareness, empowerment, leadership, and relationship building.